Thank you CBS This Morning for helping expose Dollar’s madness. 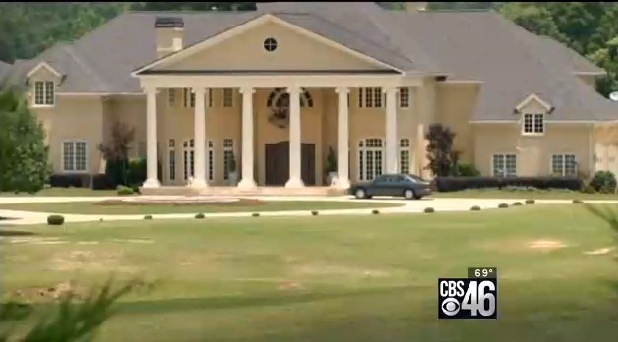 Yesterday, CBS’ morning program, CBS This Morning, ran a piece about Creflo Dollar’s request for his donors to help him buy a $65 million dollar luxury jet. subtitled “Almighty Dollar”. From CBS’ interview with Ole Anthony: “In Creflo’s church, there is no accountability. He runs it like a fiefdom,” said Anthony, president of the Trinity Foundation in Texas, a church fundraising watchdog group. “The chairman of the board of Texas Instruments or AT&T can have a whole fleet of jets, but they’re not begging for money from people and getting a tax write-off in order for them to establish such a lifestyle,” Anthony added. CBS This Morning co-hosts Gayle King, Norah O’Donnell, and Charlie Rose each reacted with shock and/or sadness at the contrast between Dollar’s indulgent lifestyle and a supportive church member having to ride the bus to get herself to Dollar’s church. Keep up the “Great Work” folks. Hi Pete, see ya soon I think. So its 30,000 per flight and 5,000 per hour on top of it. So a trip from Atlanta to New York and back would be 50,000. Every billionaire and millionaire knows owning a plane is just downright stupid. The book of wisdom ‘Proverbs’ teaches prudency. These so-called ministers of the gospel are NOT! ministers of the gospel of our Lord and Savior Jesus Christ , they are ministers of the false prosperity gospel. The Bible tells us in Mathew 24:24 about them. They are deceived themselves so they willingly deceive others. The common denominator is the money, that is what sears their conscious. As a businessman, I found my self, cheating and didn’t even believe I could do it and heard the voice of my conscious/ The Holy Spirit saying no! I did it anyway, Money does this to you. Thank God for Trinity Foundation, because of Trinity, today there men and woman of God standing up and exposing these fraudulent so called ministers and teachers.